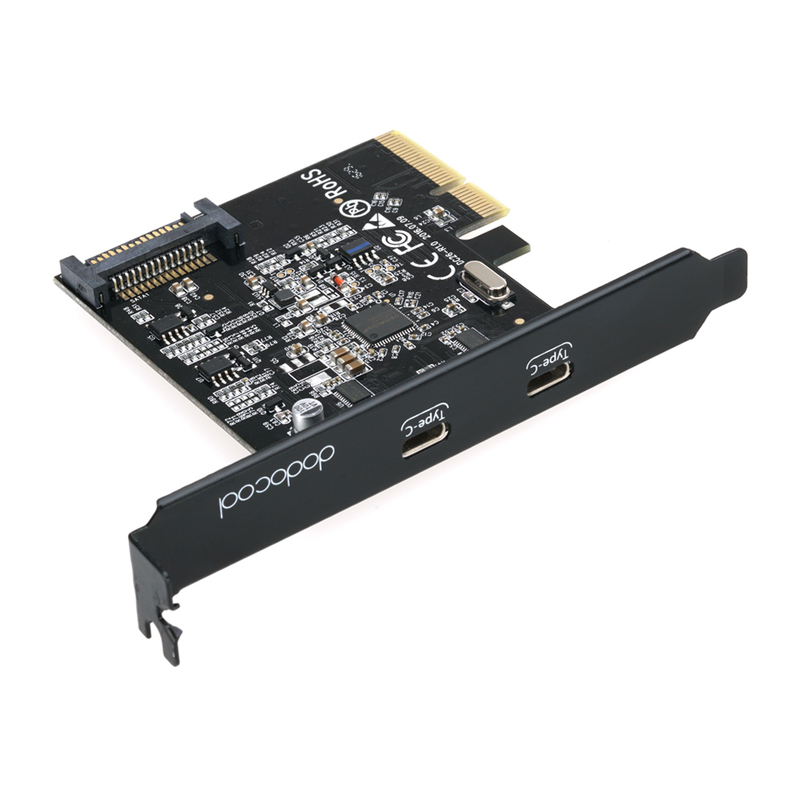 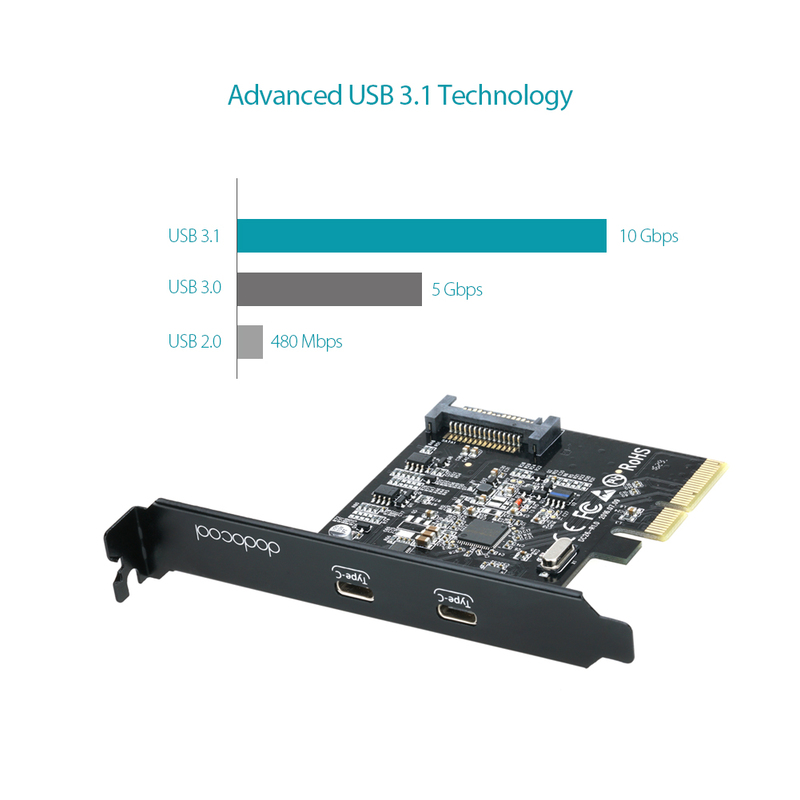 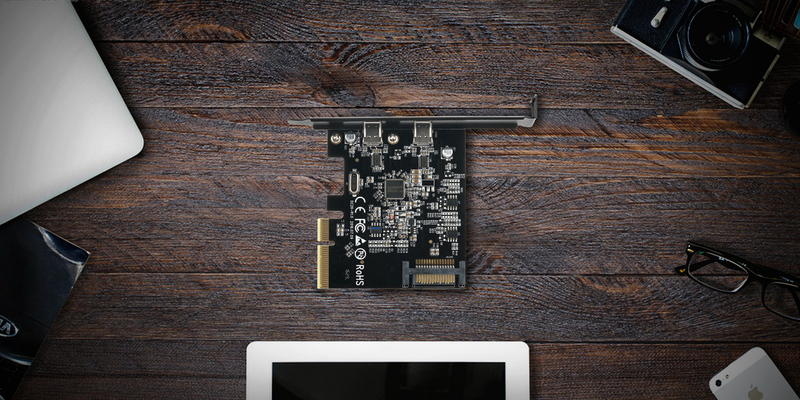 dodocool SuperSpeed USB 3.1 PCI-Express card with Dual Type-C ports offers convenient access to upgrade desktop computers or servers to support Type-C enabled devices via an available x4 or larger PCI-Express slot. 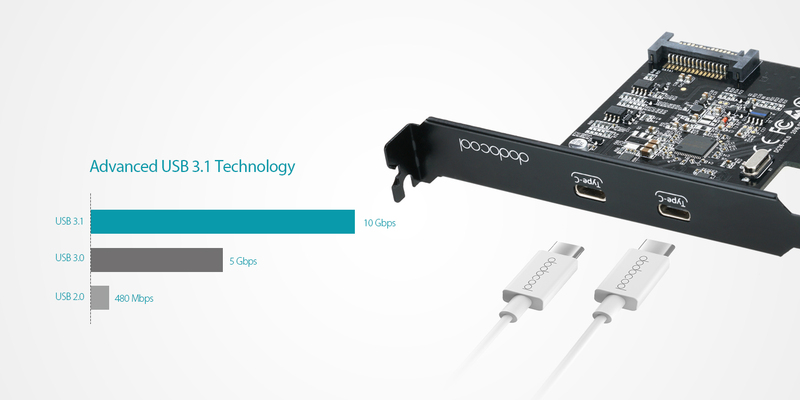 With data transfer rates of up to 10Gbps, you can transfer videos, music, photos, and data files between Type-C enabled devices and your computer at blazing fast speeds. SuperSpeed USB 3.1 supports up to 10Gbps data transfer rate, twice as fast as USB 3.0, 20 times faster than USB 2.0. Add two USB 3.1 Type-C (USB-C) downstream connectors for standard desktop PCs. 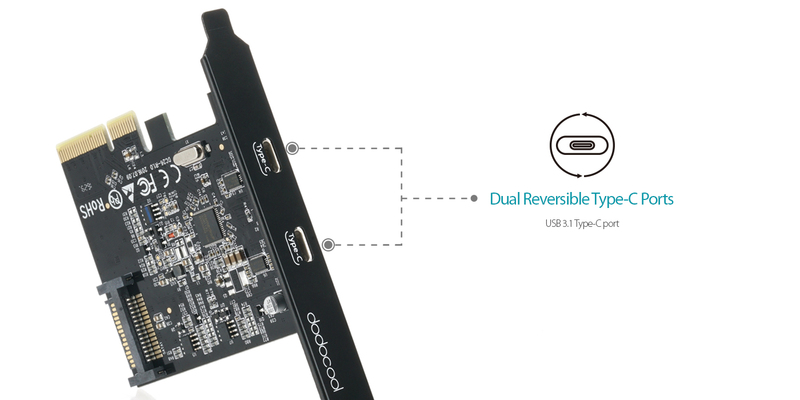 2 reversible Type-C ports easily connect to 2 Type-C enabled devices simultaneously, no matter which side you plug in. 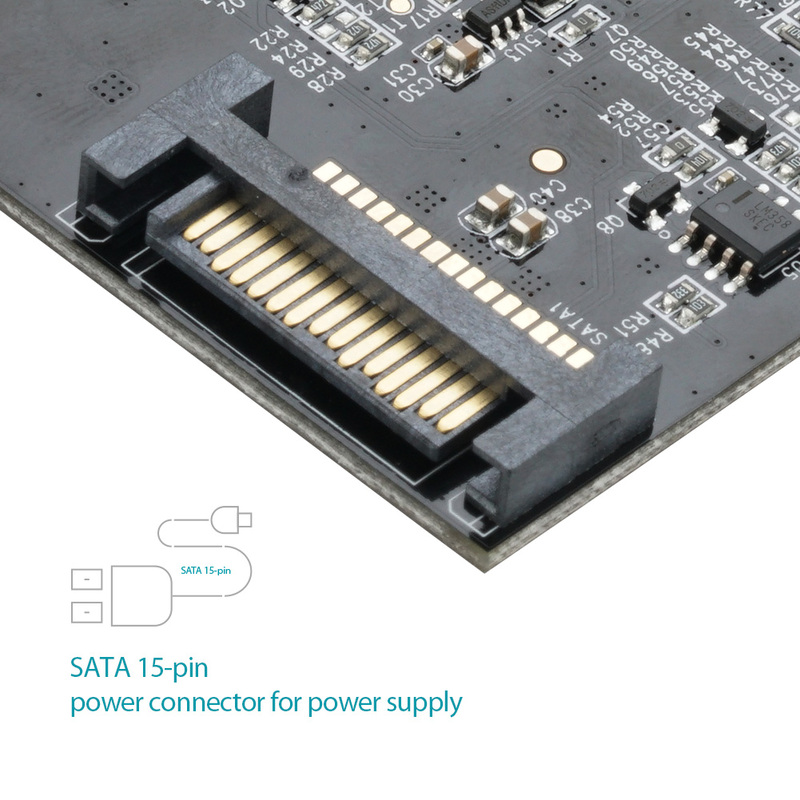 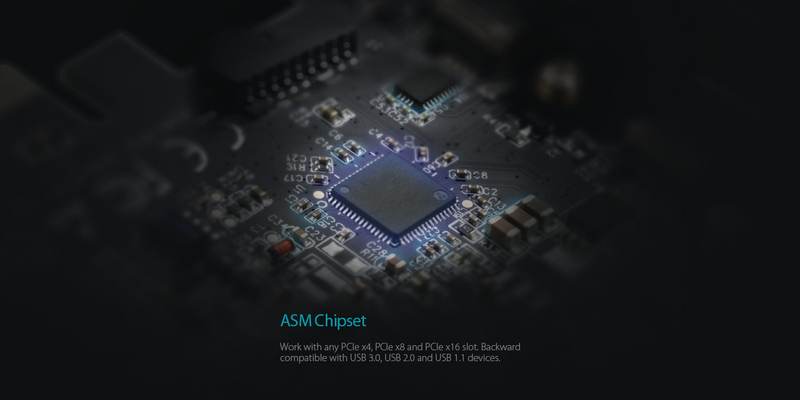 The 15-pin SATA power connector supplies power to USB-C enabled devices, and supports up to 5V 900mAh output on each USB 3.1 port. 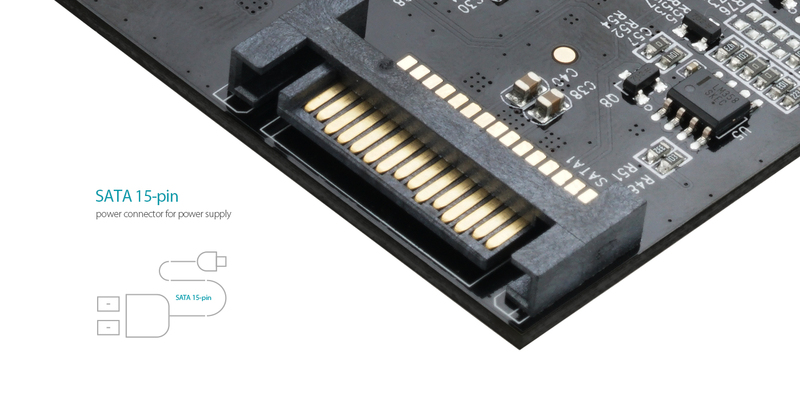 Built-in hot swapping function allows you to replace computer system components without shutting down the system. 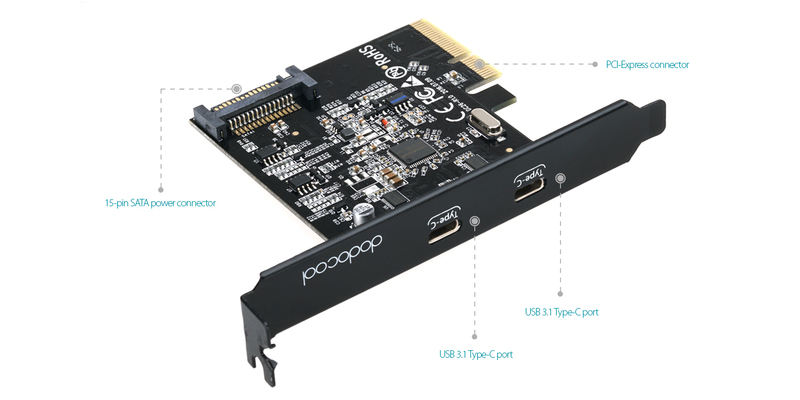 Work with any PCIe x4, PCIe x8 and PCIe x16 slot. 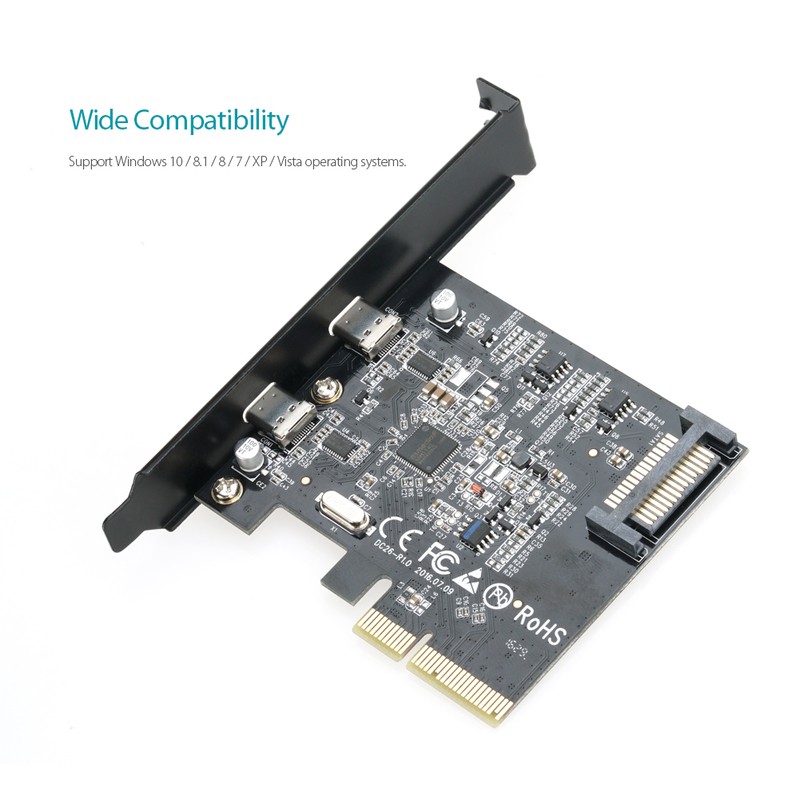 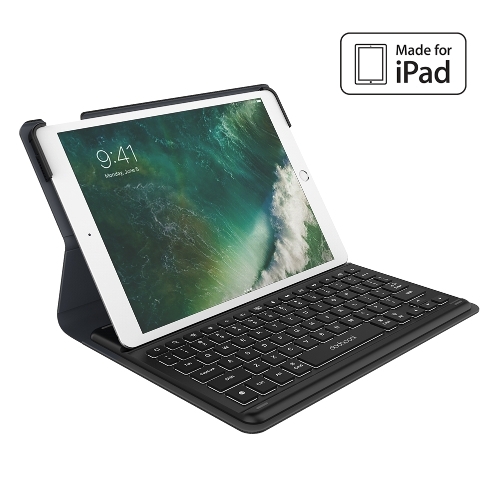 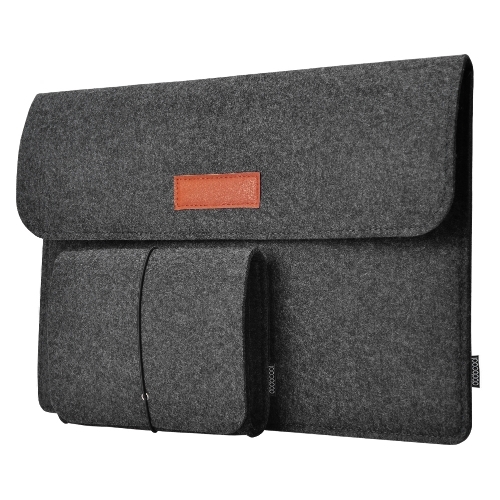 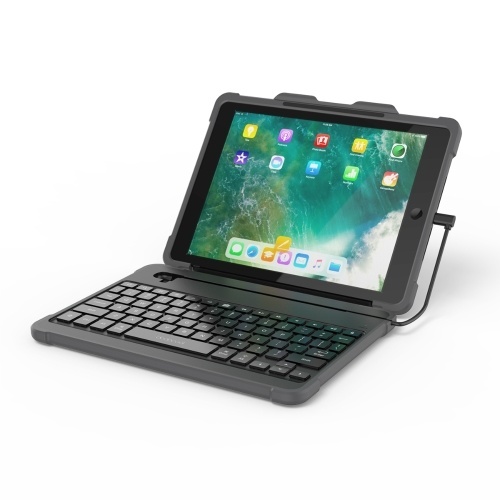 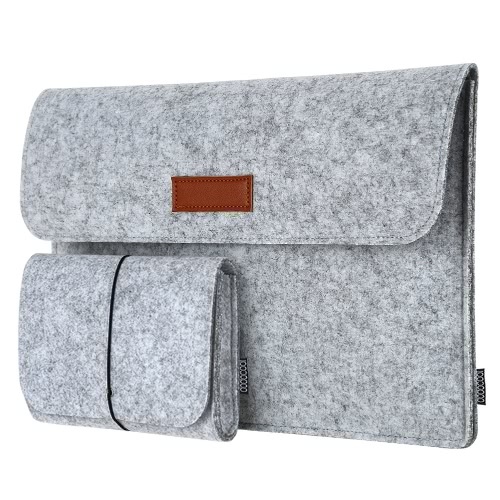 Backward compatible with USB 3.0, USB 2.0 and USB 1.1 Type-C devices. 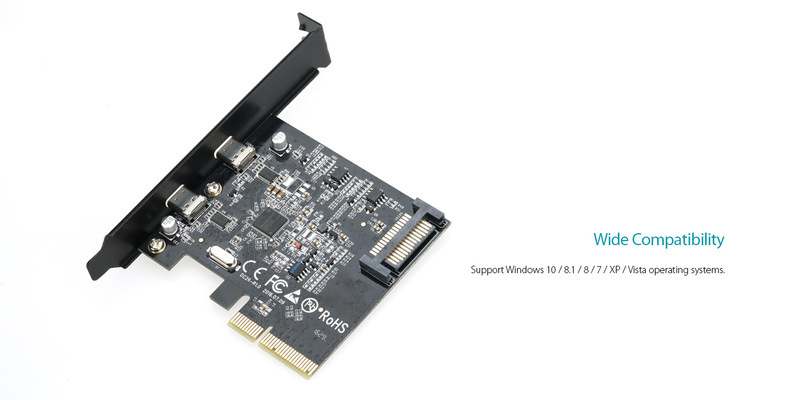 Support Windows 10 / 8.1 / 8 / 7 / XP / Vista operating systems. Note: Not compatible with macOS operating systems. 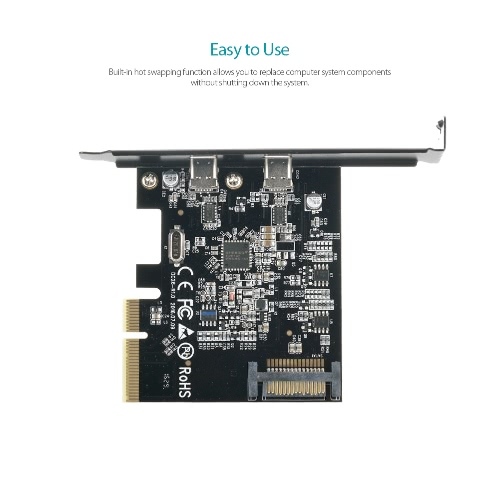 Note: This product requires to download drivers. 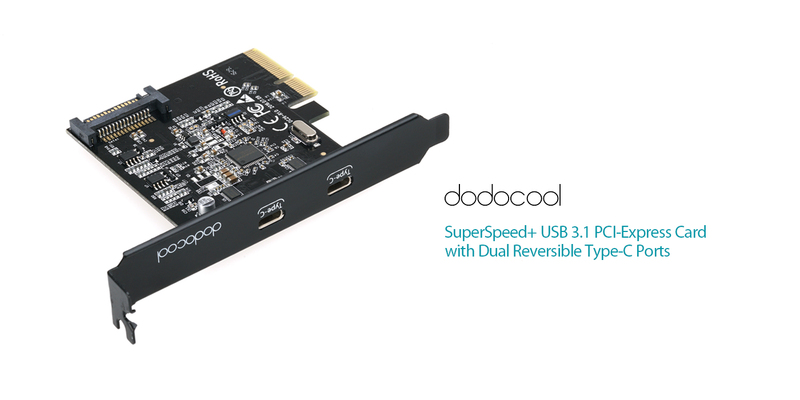 Please visit our dodocool website to download the installation package. 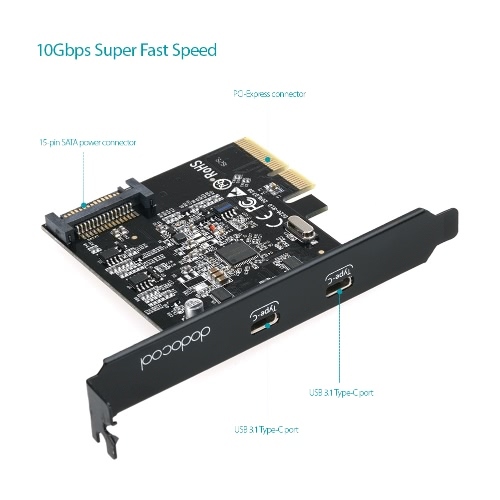 Note: The actual transmission speed is limited by the settings of computers and connected devices.